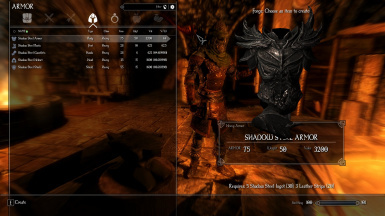 Adds a crafting recipe to give you the old Daedra armor from Classic Skyrim in Enderal. This was made per a request from a Discord user. They wanted to wear their Daedra armor in Enderal. 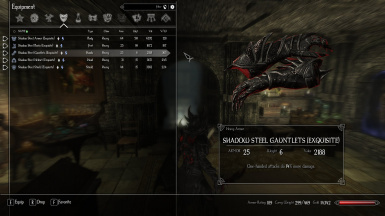 This mod puts a recipe back in to allow crafting of the Daedra armor and shield. It is called Shadow Steel in the land of Enderal. The recipes were modified since Daedra Hearts are not found in Enderal. I did not include any of the weapons since they're already in Enderal under the name Shadow Steel. 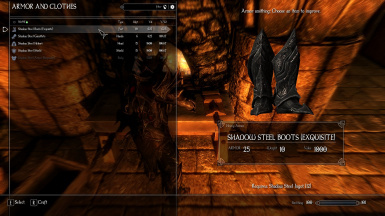 The armors are all craftable at a forge using Shadow Steel Ingots and Leather Strips. They can also be tempered and enchanted.